Ninepins is an isolated former tollhouse, standing high on a bank beside a waterway in the Cambridgeshire fens. There, since her divorce, Laura lives alone with her 12-year-old daughter, Beth. Below the bank stands the old pumphouse – a former fen drainage station – which is rented to a series of student lodgers. But this year’s lodger is different: Willow is seventeen, and in local authority care. Battling down her reservations, Laura takes her on. Do Willow’s strangenesses and her mysterious and troubled past make her a threat to Laura and, especially, to Beth? What were the circumstances surrounding the act of arson which led to Willow being taken into care? 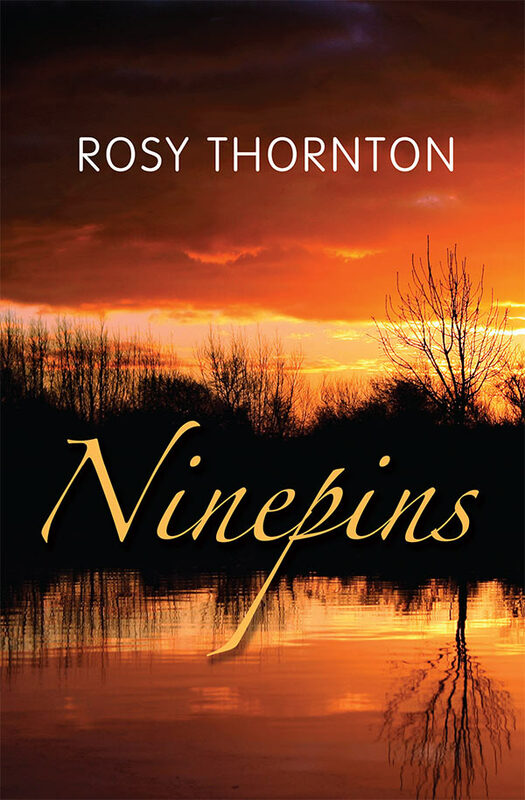 Set against the brooding landscape of the fens, Ninepins explores the perils and rewards of bringing a stranger into your home. It traces a mother’s fears for her daughter as she struggles to decide whether Willow is vulnerable or dangerous – or perhaps a bit of both. “Rosy Thornton has a way of writing that I can only describe as gentle. When you open one of her books, she takes you by the hand and leads you through her story in a way that makes it almost impossible to put the book down. She has a lot to say here about family, and what that word means. Inside of that there is a lot about the relationship between mothers and daughters, and the expectations within. There are many tightropes being walked and eggshells walked upon as these three women figure out how to navigate their new lives.”– Confessions of a Bibliophile. I heard about your new book from Phillipa Ashley on Twitter. Thought you might like to know that Leicester City Libraries have all your books and they’ve ordered 6 copies of Ninepins. The minute I get my copy and read it, I’ll post my comments. But I know already that “Ninepins” is guaranteed to be a great read! I’ve just finished Ninepins and really enjoyed it.